St. Stephens College: The moment you walk in the stephens canteen, you would get the feel of a Calcutta Coffee House. Try mince cutlets served with chutney. Cheese scrambled egg is a hit here. Other favorites are chicken momos , chicken curry with rice .You can also try the samosa. 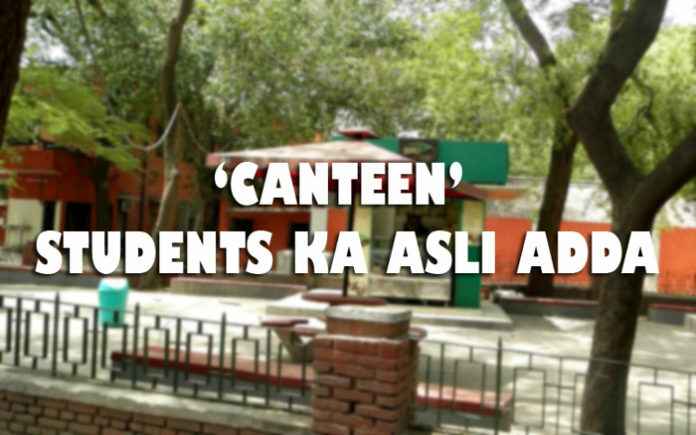 Hansraj College: This canteen is known for hygienic and fresh food. The area is big. The most popular combo here is the chocolate frappe with grilled sandwich. Also available on the list is south Indian food, Chinese and snacks such as cutlets, patties and muffins. The large hall can seat more than 150 students. Ramjas College: The food on offer varies from snacks to Indian meals Samosas, remain a selling dish. Another interesting part of the ramjas college is the ice-cream vendor and fresh fruit juice stall outside the canteen. In Indian food they have rajma chawal, kadi chawal and chhole bhature. The students also have a choice a choice to enjoy there food inside or outside as well. Hindu College: Serving pocket-friendly food, the Hindu college canteen is quite large & spacious and offers varied cuisine to its students including non-veg . It is well known for its scrumptious Paranthas & street food items such as Bhel Puri, Gol Gappe & Chaats etc. Sri Ram College of Commerce: SRCC is one of the premier DU Colleges is known for its placement process. The SRCC canteen is famous for its American and Continental dishes such as Hot Dogs, Continental Breakfast, Egg Sandwich, Scrambled Eggs. Sri Venkateswara College: Venky College has properly known for it’s vegetarian food. The Venky Canteen is quite popular for its delicious South Indian veg food. Venky also serve Aloo Tikki, Samosa and Fried Rice. Canteen’s menu keep changing according to the season. The massive outdoor-seating area is the most favorite spot among the Venky students. Lady Sri Ram College: LSR canteen is not canteen, it is basically known as a Cafe. The cafe’s menu has a variety including Pastries, Tarts, Choco Pie, Cold Coffee, Croissant and Cheese Macaroni. 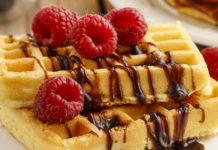 The best part about the cafe is that they prepare a different sweet dish each day. Some of the other best-selling dishes at Cafe are Keema Dosa, Chicken Tikka Roll, Shahi Paneer and Lachcha Parantha. Kamla Nehru College: The KNC canteen is like a mini food court. Some of the Indian dishes include chhole bhature and Rajma Chawal . They even have a chat corner that sells papri chat, dahi bhalla and gol gappe. Other hot-selling items at the canteen are cheese macaroni , kala khatta, momos and fresh fruit juice. Jesus and Mary College: JMC canteen is known as for it’s hygienic food. They have bhel puri and sev puri wla bhaiya from Defence Colony inside in their canteen. Apart from that ,the chilli potatoes seem to be favourite with almost each and every JMC-ites and it’s quite the hot seller of their canteen. P.G.D.A.V. (Pannalal Girdharlal Dayanand Anglo-Vedic) College. 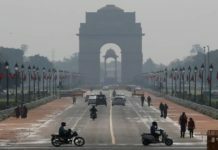 It has a nice campus with great connectivity from each and every part of Delhi NCR. The college has three canteen, while each canteen has something special about it. The main canteen often called as ‘ canteen’ is famous for Rajma Chawal, while the second is ‘ coke station’ which is famous for grill sandwich and burger combo. A student of third year said, “ We will definitely come back to college ( after graduation ) for having burger at coke station”. Mostly students can be found chilling at the coke station, which is the happiness station for all the students. And third canteen which is ‘ HPMC ‘ often called as ‘ Amul Cafe’ which serve almost all kinds of dairy products along with tasty chilli potatoes. Recently, the main canteen has be shifted to a newly built ‘ Student Amenities block’ which is now the ‘ biggest canteen of Delhi University’ having the sitting capacity of more than 200 students at a time. The canteen is supposed to offer almost all kind of food at obviously pocket rate. We see a great zeal in the foodies of university about this new canteen which will start by this session. College of Vocational Studies: CVS is famous for it’s vocational courses and for it’s placement. But not the least CVS is also famous for it’s food. Aloo samosa is something that every CVS-ite can smell and sense them from miles away and every CVS-ite loves these samosas. CVS-ite even can’t wait solely for canteen bhaiya to make it. Gargi College: Gargi college canteen is famous for it’s three dishes. The students enjoy chowmein as a snacks. And when to have a proper meal i.e; the naan paneer; the dosa sambhar is the hot favorites food. Well it’s now on you whether you guy’s go for North campus OR South campus. Both campus has it’s own different style either it is for Fashion or Food. So, what are you waiting for pack your bags, grab your seats and get ready for the race because this time the pressure is really high between these two campus. If we talk about North Campus very is famous for it’s food but not the least if you look at the South Campus is also becoming famous for it’s food very vastly. Both campus has a huge portion with good food whether it is St. Stephens or it is Venky. Hope it will compel you to taste food at every college’s canteen !! Next articleRajguru College was interrupted midway in Manthan Mahotsav!